These are not so primal. Ok glad that’s out of the way. But for real these cookies are not paleo or primal but they are delicious and gluten free! 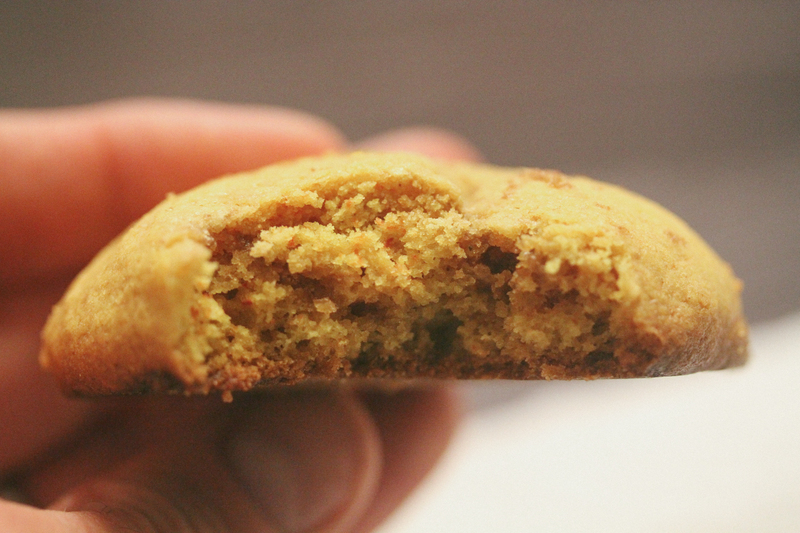 I came across this recipe on this blog and thought the idea was crazy – turmeric in cookies? Now I don’t really cook with turmeric a ton but I’ve used it to make golden milk when I feel like I’m getting sick and when we happen to have milk on hand, which is rare. So I decided to try to make the above recipe but by swapping out a few things. I didn’t want to make it complicated by trying to substitute a paleo flour for the regular flour as it would be hard to replicate without making too many tweaks. So I kept it simple and used this Bob’s Red Mill 1:1 gluten free flour. Along with the flour change I used brown sugar instead of white sugar. Why? Because I wanted to. You can also use coconut palm sugar if you are concerned about the glycemic index and insulin response of brown sugar as coconut sugar has a lower GI and insulin response. At the end of the day though a carb is a carb and brown sugar and coconut sugar is still sugar. So take that as it is (not to mention brown sugar is a lot cheaper). 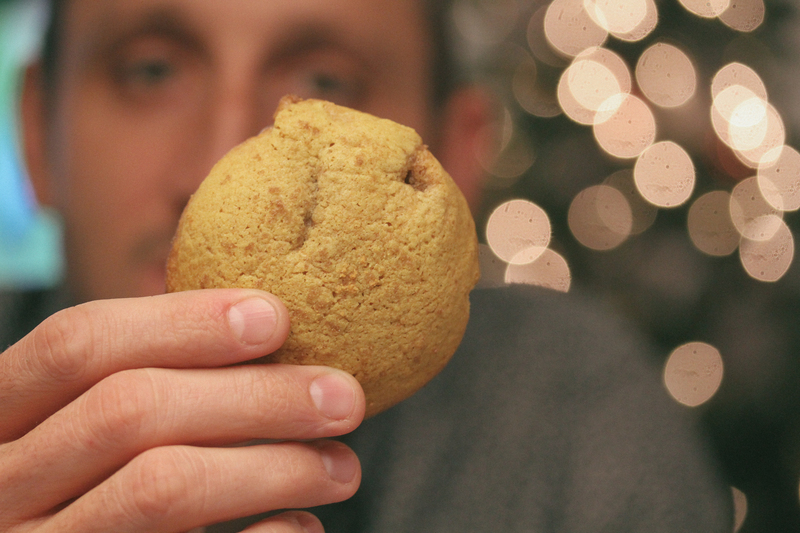 The turmeric in the cookies was added with ground turmeric to get the flavor and yellow color but to really enhance the flavor I used some doTerra turmeric essential oil drops. I don’t suggest you use just any turmeric essential oil in the recipe as doTerra is certified pure therapeutic grade essential oils. Other essential oils specifically say on the bottle to not consume internally, doTerra on the other hand can be taken internally. We are working to eliminate toxins in our home, so cooking with essential oils isn’t the main use. We are using them for so many things in our home as natural solutions to replace toxins. My wife sells CPTG doTerra oils here if you want to buy some for yourself. The whole family loves these cookies so much that when I came home from work the next day there was only three left for me… so I ate them of course. I don’t always eat cookies or sweets but once in awhile it’s good to indulge and one or two cookies won’t throw you off your health goals. Add the butter and brown sugar to a bowl and beat until mixed and light and fluffy. Add the eggs and vanilla. Mix together thoroughly until fluffy again. 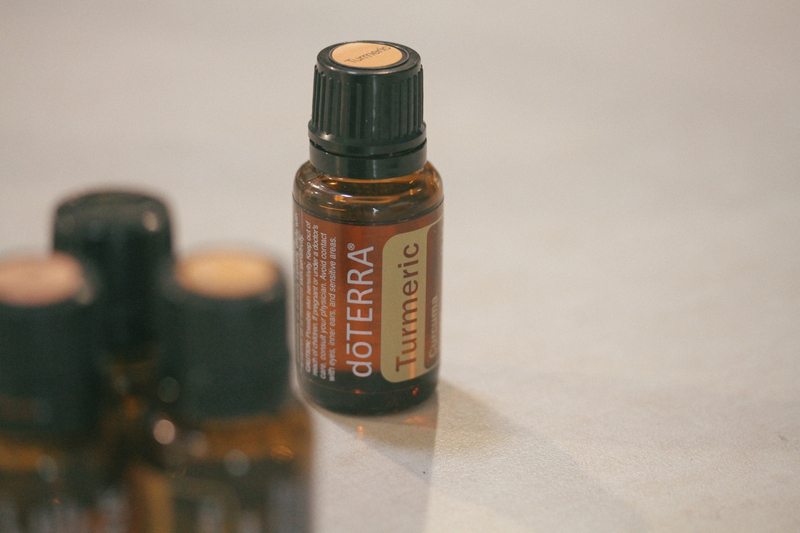 Add the ground turmeric, baking powder and the drops of doTerra turmeric essential oil and mix on low again until all is thoroughly combined. After everything is mixed well enough place the bowl in the fridge for at least 30 minutes. After the dough is chilled, roll the dough into balls and place onto cookie sheets with parchment paper or nonstick sheets (whichever you prefer). I fit about 6 balls on each sheet. Do not smash these down, they will fall naturally. Bake for 9 to 11 minutes until slightly brown around the edges and slightly cracking on top. If they look puffy that’s ok, they will fall when you take them out. Let them cool on the tray for a bit then transfer to a cooling rack.